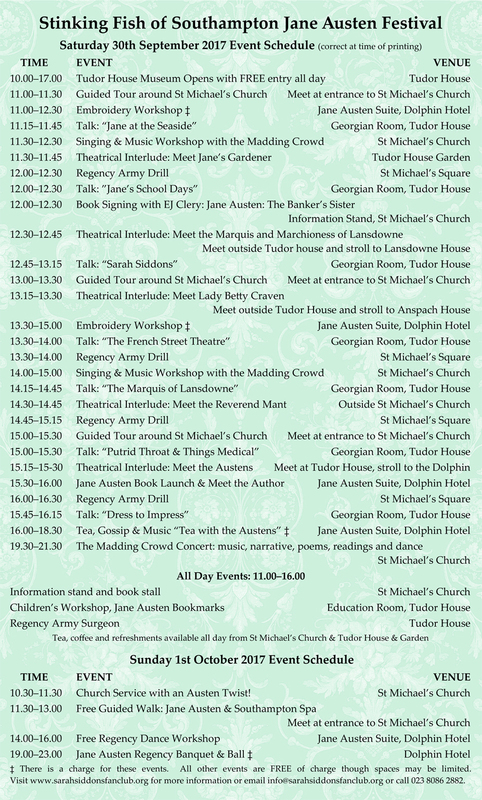 Everything is set for our big Jane Austen Festival Weekend – a celebration of Jane’s connection to the town and the Spa Period of Southampton’s history. We have series of talks, walks, tours, performances, workshops, concerts, living history, and more lined up over the weekend all culminating with our big Regency Ball in the very room at the Dolphin where Jane danced when she was 18 years old. Check out the list of all the events happening below. Where spaces are limited, you can book your space by visiting here. 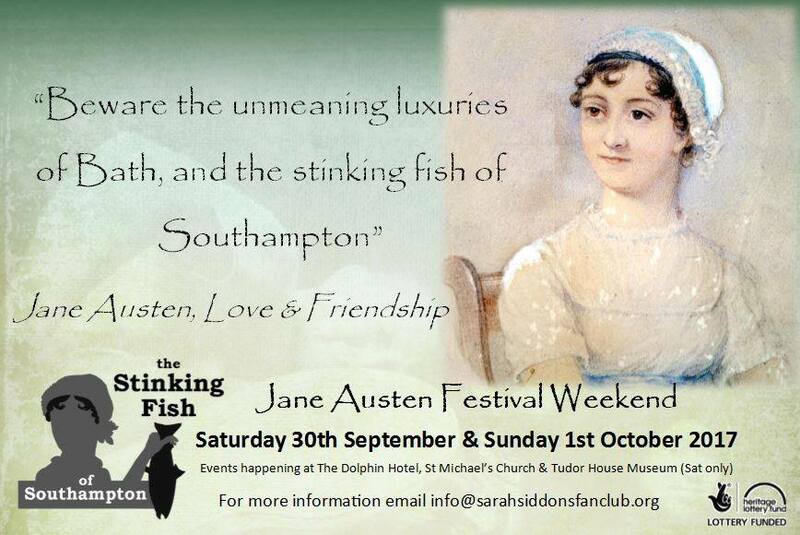 The Stinking Fish of Southampton Festival has been organised by the Sarah Siddons Fan Club and made possible thanks to the Heritage Lottery Fund and the support of many local heritage groups including: Southampton Tourist Guides Association, Hamble Valley Tourist Guides, Friends of St Michael’s Church, Friends of Southampton Old Cemetery, City of Southampton Society and the Duke of Wellington’s Dancers. Previous Post The Stinking Fish of Southampton!